Your donation helps “Hope For Children” CRC Policy Center reach and protect even more children every day and significtly improve the quality of life of children. Your support can make an actual change and play a huge role in implementing our humanitarian programs on a national and international level. 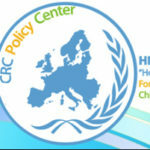 “Hope For Children” CRC Policy Centre works closely with corporations that are interested in defending and promoting children’s rights worldwide. HFC has established partnerships with companies to form alliances in order to strengthen the capacity of the corporate sector in responding to children’s rights issues. On the other hand, HFC commits to contribute to the corporations’ practices for promoting the welfare of children, of communities and the environment in general. Also to work towards achieving their corporate social responsibility objectives through the support of projects related to children’s rights. HFC is grateful to its corporate partners who are long-term supporters of ensuring that basic needs and rights are accessible and available to children, such as education, nutrition, shelter, social protection and healthcare.